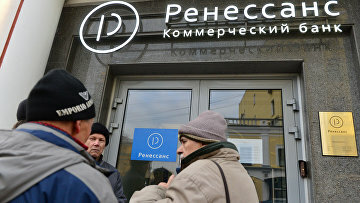 Refusal to seize $108 mln assets of Renaissance bank’s ex-managers | Russian Legal Information Agency (RAPSI). MOSCOW, February 7 (RAPSI) – The Ninth Commercial Court of Appeals has upheld a lower court’s refusal to seize assets worth 7.1 billion rubles ($108 million) from five ex-managers of Renaissance bank on the request of the Deposit Insurance Agency (DIA), RAPSI has learnt in the court. On November 19, the Moscow Commercial Court dismissed the DIA’s lawsuit. The court noted that the plaintiff did not provide evidence suggesting that failure to introduce interim measures could potentially hinder enforcement of the ruling in this case in the future. Following examination of Renaissance bankruptcy, the DIA found that these persons provided credits to nominal legal entities and people incapable of paying debts back. The DIA also found that at some point there was an alienation of the bank’s securities and monetary assets with no compensation, causing damage to Renaissance and preventing repayment of its debts to creditors. The DIA noted that these circumstances serve as grounds for recovery of assets from the people formerly in control of the bank. Renaissance bank was declared bankrupt in February 2016.